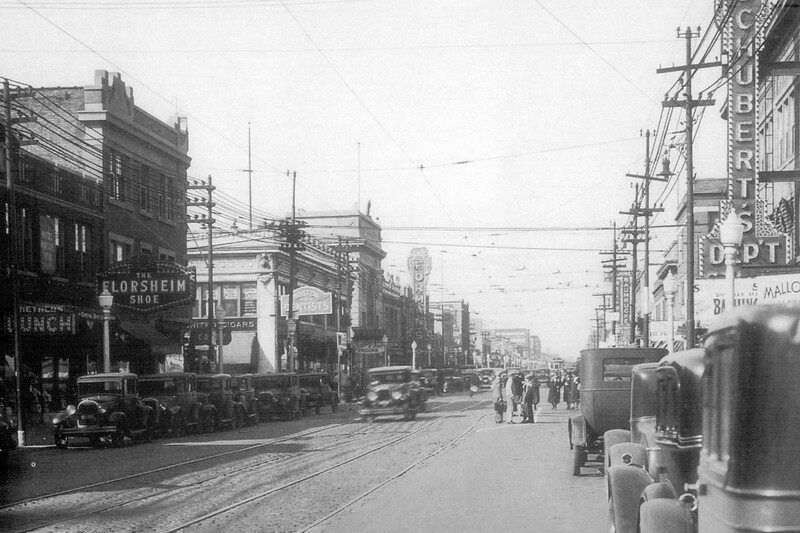 Around the turn of the 20th Century, Halsted-79th became a major streetcar transfer point, and a commercial district developed near the intersection. By 1930 the area was residentially mature. Most of the population was Irish, with the city’s earliest St. Patrick’s Day parades stepping off down 79th Street. Today the Auburn Gresham neighborhood is predominantly African-American. In the course of time, many of the buildings around the intersection have been torn down or replaced. 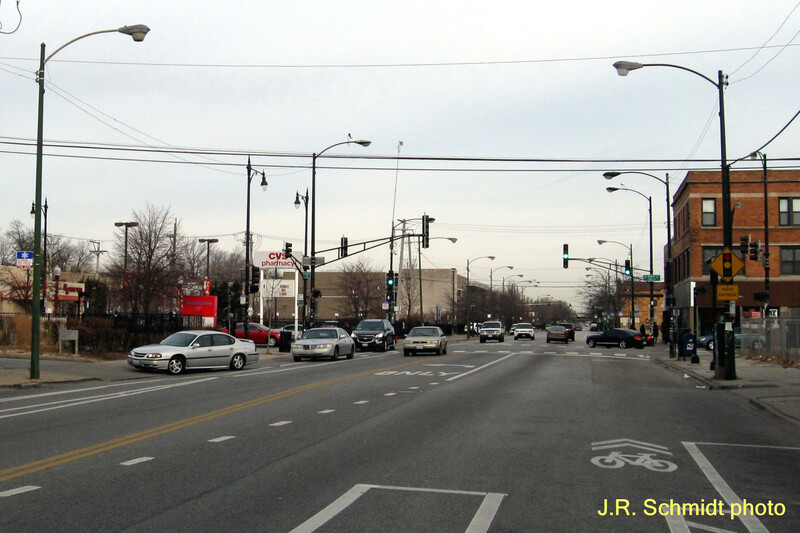 However, public transit is still vital here—the 79th Street bus line is one of CTA’s busiest. Lived at 81st and Sangamon. Used to be a minor shopping hub from 75 on Halsted w/a Walgreen’s Drug store on 79th and Halsted. 79th Street east and west was dotted with small businesses. Also, a Department store just east of Halsted on 79th. Looks deserted and undeveloped now; our street made the news for its quiet, cleanliness, crime=free area….WTF happened?